WE LIKE TO KEEP THINGS WEIRD, BUT ALSO INCREDIBLY TASTY. We don’t do things like everyone else. 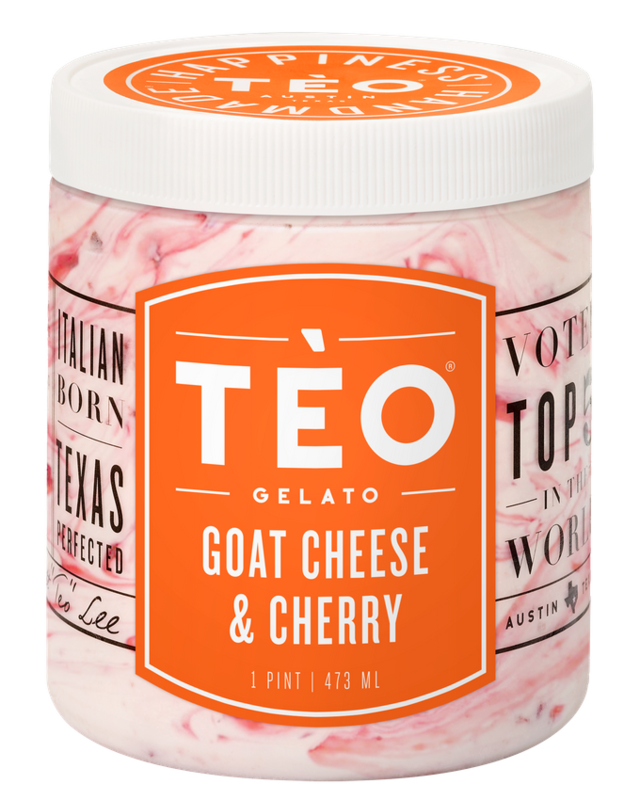 So, from our unique flavor combinations to our all-natural ingredients to our daily homemade base that’s at the core of every batch, Tèo is truly one-of-a-kind. Our Goat Cheese & Cherry recipe is the perfect example of what we’re all about, mixing tart and tangy goat cheese with dark cherries. The taste is surprisingly reminiscent of cheesecake and sure to have you coming back for more. Consider it our ode to keeping Austin weird! INGREDIENTS: Milk, Sugar, Cream, Goat Cheese (Pasteurized Goat Milk, Sea Salt, Bacterial Culture, Microbial Enzyme), Nonfat Dry Milk, Dextrose, Dark Cherries (Cherries, Water, Sugar, Citric Acid), Locust Bean, Guar Gum.